Casino D’evaux Les Bains Rests in the Limousin Region in France, a region known for many valuable resources and products. That is what makes this casino such a welcomed attraction and perfect fit. 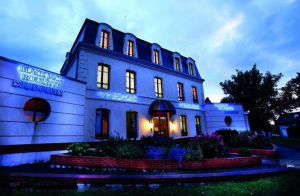 From its chateau style of design to the modern-classical décor – Casino D’evaux provides the necessary retreat for those getting away from the masses or just the classes. Casino D’evaux features 50 gaming machines and 8 table and poker games. The slots consist of 25 “vintage” machines and 25 modern machines, ranging from 1 cent to 2 Euros. To enhance your experience, Casino D’evaux offers the Megapot. This is an interconnection between 200 machines and 42 casinos simultaneously. All of the casinos and games contribute to a common progressive jackpot and the Megapot is played on 2 slot machines at 2 Euro cents. 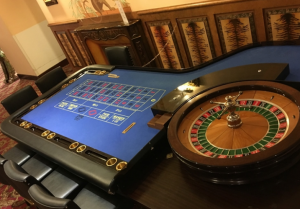 As for the traditional games, the casino provides a table for Texas Hold ‘em, a table for poker, a table for blackjack and a table for English Roulette. At the poker table, there is a cash game at a 50 Euro minimum caveUne, “sit and go” grand tournament. This occurs every month and allows up to a maximum of 50 players. There is also Players Plus Program for earning points and preferred customer status. Preferred customers get exclusive offers and can redeem points for gifts, gift certificates and special offers. Much like Rizk Casino the offers caters to active and loyal players. The restaurant at the Casino D’evaux Les Bains offers two atmospheres both air-conditioned. The first is an isolated room for a quiet, enjoyable meal and the second is a room on the casino’s slot machine park. The rates for the restaurant range from 9.90 to 25.50 Euros. The hours of operation are 12 am to 1:30 pm and from 7 pm to 9:30 pm weekdays, 10:30 weekends – and is open every day of the year. Available for all your important occasions are the banquet and cocktail room, which holds form 10-140 people; the auditorium scalable from 20-200; the theatre, multi-purpose room for plays, concerts seminars or receptions. This space accommodates up to 250; the banquet room holds up to 140. The location of the Casino D’evaux Les Bains is nestled in a region where the rivers from the Loire Basin runs through the North, West and East, where only hours away is the Bordeaux region and Paris. Come for the winning, stay for the wonder!